The Houston Indo-American Oral History project is an initiative of the Foundation for India Studies. It is a collaborative project being done in cooperation with the Houston Public Library (HPL) and Houston Community College System (HCCS) and engages members of the Indo-American community living in Houston, Texas to record their life stories and experiences in America as immigrants. 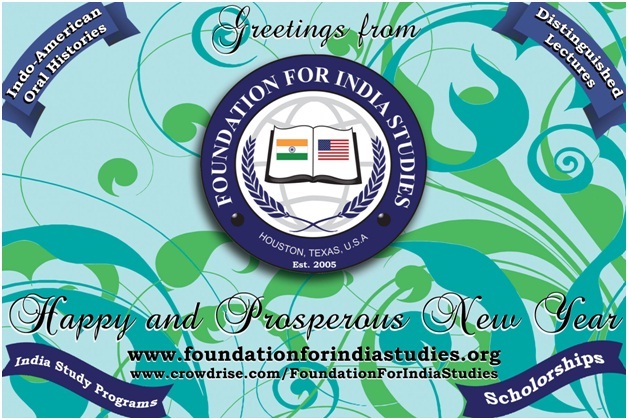 To develop a centralized oral history archive of the experiences of the first generation Indo- Americans settled in Houston through their own narratives and make it available to the researchers, educationist, historiansand help the next generation Indians to trace their roots. Utilize the latest audio and video modern technologies torecord, transcribe and archive to preservethe rich history of the first generation and present generation Indo-Americans for posterity and their contributions to the city of Houston in various fields. To achieve this goal, live interviews will be conducted by the FIS interviewers. To understand their motives for immigration to America and their choice to settle in Houston. To record the concerns and anxieties of first generation immigrants about the future of their children and grand children growing up in American culture and the erosion of Indian cultural and religious values. First one hundred (100) interviews to be done at the rate of two (2) per month, will take 50 months, (i.e.) 4 years and 2 months. • People who are aged 65 and above. Seniors will be on a priority list. • Interviewees must have lived in Houston,Texas for at least 20 years, however, exceptions considered on a case by case basis. • Media professionals like journalists, radio and TV hosts etc. Total estimated cost of the project is $250,000/-. Project inauguration: August 19, 2011. Peter & Dr. Hansa Medley / Shobana Muratee.